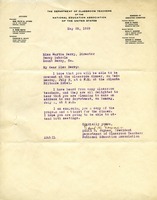 The first letter is from Edith Joynes, the President of the Department of Classroom Teachers, to Miss Berry. She asks that she attend a dinner a few nights after she addresses the department. 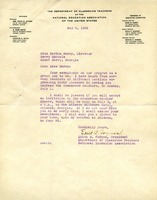 The second letter is Miss Berry's response. She replies that she will attend if at all possible.